From its humble beginning 35 years ago, Heritage University and the Yakama Nation have been intricately woven together. When our founding mothers, Drs. Violet Lumley Rau, Martha Yallup and Kathleen Ross started this university, they did so with the intent of building an institution of higher learning where the cultures of the people of the Yakima Valley were not just embraced but were integrated into the university’s mission and its academics. It was, in part, this emphasis that drew me to accept the presidency of this fine institution. I feel a great sense of responsibility to honor the university’s history as we move forward into this next chapter. I am acutely aware that Heritage is here on the ancestral lands of the Yakama Nation for a reason, and we must strive to continue the legacy that Violet, Martha and Kathleen began. I am committed to having Heritage University be an integral part of the educational opportunities for the Yakama people and to assure that we offer an education that is both competitive in today’s society as well as consistent with Yakama values and history. Since I arrived in the region, I have been blessed with the support and friendship of many. I am particularly grateful to the Yakama Tribal Council for their welcome and wisdom. I look forward to this continued engagement and to their ongoing guidance as we build the future of this university. 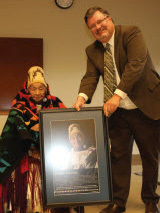 In September 2016, Heritage honored two of our founding mothers, Violet Lumley Rau and Martha Yallup, with the naming of its newest buildings—the Violet Lumley Rau Center, which houses a large lecture hall and offices for university administration, and the Martha B. Yallup Health Sciences Building, home to the Physician Assistant program’s classroom lab and offices. More than 200 people from the campus and the community came out to celebrate the dedication of the facilities. 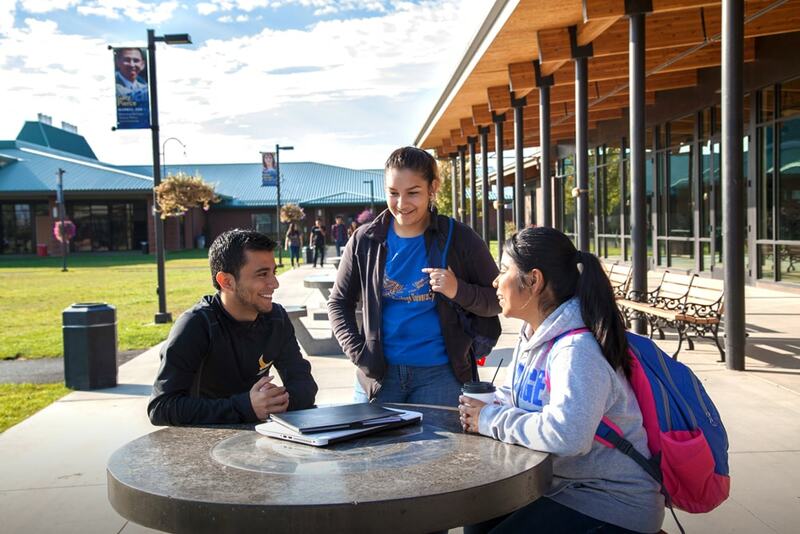 The fact that Heritage University is situated on the ancestral lands of the Yakama Nation is not lost on us. The university and the Yakama Nation are tied together by place and by history. ive American Heritage Month by honoring Yakama tribal elders for their significant lifetime contributions to the community. Honorees are recognized in full-page ads placed in the Yakama Nation Review and at a gathering on our campus. Heritage provides students with a rich mix of quality academics, hands-on experiences, and opportunities to network with professionals in their field of choice – all while integrating culturally sensitive education. Heritage has two active Native American student clubs – the Heritage University Native American Club (HUNAC) and the Heritage chapter of the American Indian Business Leaders (AIBL). HUNAC promotes personal pride and provides enrichment opportunities for Native American students, as well as students of all ethnicities. AIBL is a national organization that is dedicated to empowering business students in the United States. The two clubs frequently work together on projects, such as the annual powwow and the honoring of Native American graduates. In 2017, AIBL was awarded Chapter of the Year by the national organization at its annual conference. AIBL students receiving the Chapter of the Year award at the national conference. Pictured are (left to right) National AIBL Director Prairie Bighorn, Brettagne Aleck, Alden Andy, Brenda Lewis and Shawna Kalama (front). Established by the Center for Native Health, Culture and the Environment, the Indigenous Natural Resource Leadership Speaker Series brings Native American scientists to the Heritage campus for presentations on their work and their career path. 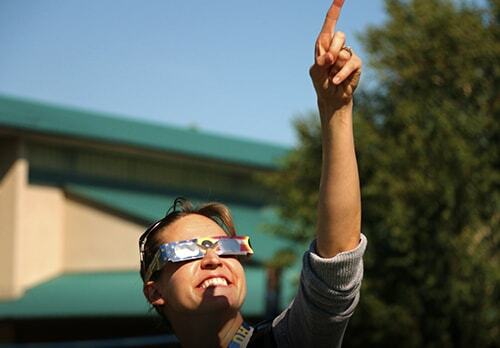 The goal is to both inform students and the community about the science being conducted and to inspire others to see themselves in science careers. Speakers have included community leaders and resource manager of the Ngäbe-Bugle people of Panama and two Native American astrophysicists who are working with the Nobelaward winning LIGO project. Senior and biological science maor, conduted neuroscience research related to obesity and addition at the National Institute of Health during summer 2017. A junior majoring in nursing studied traumatic life events in individuals with and without chronic abdominal pain at NIH, Nursing Institute of Nursing Research in summer 2017. In December 2017, four Heritage science students – Zane Ketchen, Robyn Raya, Corbin Schuster and Kimberly Stewart (pictured) – participated in a two-week, international research experience in Costa Rica. Heritage was one of six participating colleges and universities. As part of their experience, the students spent nine days at the Las Cruces Biological Station conducting field research. Heritage students annually present at two professional and academic STEM conferences: The Society for the Advancement of Chicanos and Native Americans in Science (SACNAS) and the American Indian Science and Engineering Society (AISES). Senior and biological science major Corbin Schuster received second place in the undergraduate student poster competition at the AISES conference in fall 2017. Heritage alumnus Daylen Isaac (B.S., Environmental Science), who is in his second year in a master’s degree program at Washington State University, received honorable mention in the graduate student poster competition Environmental Studies student. 89 The total number of Native American students enrolled at Heritage University for fall 2017. 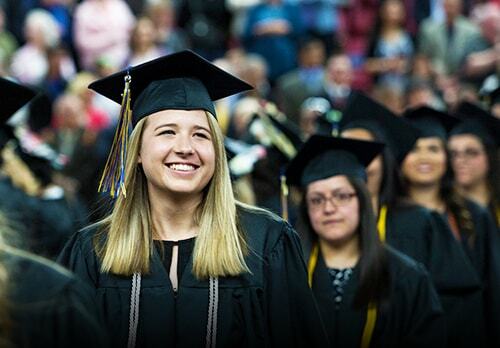 23 The total number of Native American students to graduate in the past two years. 98% The percentage of students who receive scholarships, grants or other forms of financial aid. $233,240 The total amount of Heritage University funding awarded to Native American students (fall 2017).$1,047,085 The total amount of financial aid awarded to Native American students at Heritage University (fall 2017). Scholarships are an essential element that makes a college education affordable for most Heritage University students. Heritage’s financial aid counselors work closely with students to help them find ways to fund their education, including state and federal aid, as well as university-funded scholarships. Heritage has many different scholarship funds, including the full-ride scholarships Soar, the Act Six Leadership Initiative, the Sinegal Family Foundation Scholarship and Moccasin Lake Foundation Scholarship. Additionally, Heritage works in partnership with several foundations and tribal entities to provide scholarships that are specific to Native American students. A grant awarded by the Johnson Scholarship Foundation created an endowment to support scholarships for Native American students studying business or entrepreneurship at Heritage University. In an agreement between Heritage and the foundation, the university will raise $1 million over the next three years. The foundation will match $500,000 to build the endowment. 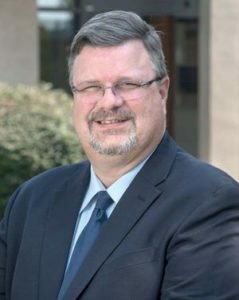 Historically, the foundation has been one of the university’s strongest supporters of Native American scholarships, having awarded $50,000 in scholarships to Native American students studying business annually for the past eight years. Our schools are filled with really great kids. They are future business and tribal leaders, scientists, health care professionals, social workers, artists and educators. We want every child to achieve his or her best. That is why Heritage works with local schools, including the Yakama Nation Tribal School and Mt. Adams School District to give middle and high school students opportunities to see themselves as college bound through science programs like First Nations MESA, EnvironMentors, The People of the Big River field class, and the Nursing Academy. ENVIRONMENTORS – 20 kids students White Swan High School participated in EnvironMentors over the past two years. In 2016, White Swan students Maria Ortiz, Sullyvan Piel and Judy Bergevin went to the National EnviornMentors Fair in Washington D.C. and brought home the Chapter of the Year award. Piel received and an Award of Excellence in Forest Stewardship for his research presentation. 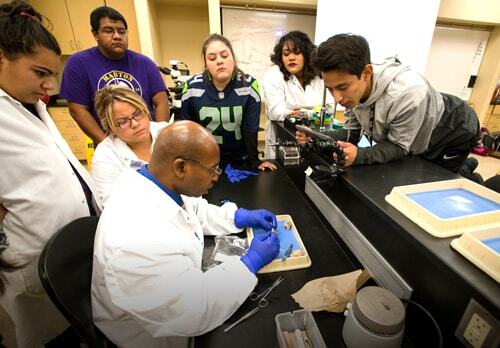 FIRST NATIONS MESA – The program is a partnership between Heritage and the University of Washington that engages middle and high school students in math and science-based activities to prepare them for STEM careers. NURSING ACADEMY – In 2017, Heritage launched its Nursing Academy in partnership with White Swan High School. A half dozen students went through the Academy’s Nursing Camp over the summer, where they learned some basic nursing skills and about careers in health care. The program is funded by the Yakima Valley Community Foundation and is an ongoing and expanding partnership with the school to provide mentoring and career exploration through the field of health care. PEOPLE OF THE BIG RIVER – During the summer of 2017, 6 students from White Swan High School and 10 Heritage University students spent two weeks on a 1,500 mile journey meeting with tribal elders, scientists and resource managers to learn about their host tribe’s culture, the environmental issues that are impacting them, and their management efforts. In 2016 and 2017 Heritage hosted 10th graders from Northwest School in Seattle for their annual service project. As part of their learning experience, Heritage worked with its Yakama students to provide cultural education that included a tour of Fort Simcoe State Park, shadowing of Heritage fisheries students conducting field studies on salmon, and a traditional salmon dinner with performances by the Little Swans. In 2016 the Heritage’s chapter of the American Indian Business Leaders and the Heritage University Native American Club joined forces to present the university’s first All Nations Student Powwow. Over 500 people came out for this inaugural event. This became an annual event with their second powwow in August 2017. Preserving language is an important part of protecting the cultural heritage of a people. 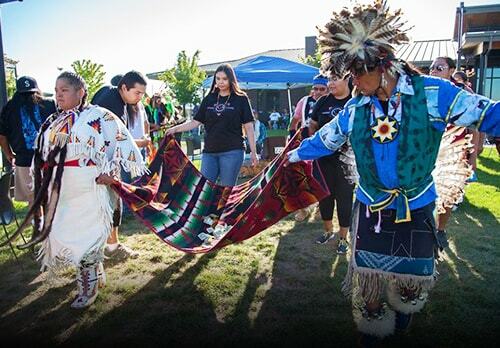 Heritage‘s Center for Indigenous Health, Culture and the Environment and the Heritage University Language Center are working to help revitalize and promote the language of the Yakama people. In August 2016, Heritage hosted the 4th Annual Páwyak’ukt Ichishkíin Sapsikw’ałáma (Gathering of Ichishkíin Teachers) inpartnership with the Oregon Northwest Indian Language Institute. Heart, Ph.D., focused on the impact of historical trauma on Native Americans and their communities today. Breakout sessions included the Traditional Spirit Horse therapy workshop sponsored by Heritage’s prevention project.